(March 2011, Toronto) African inspiration in fashion has typically been limited to clichéd takes on safari wear or use of the “Ankara” print wax cotton. 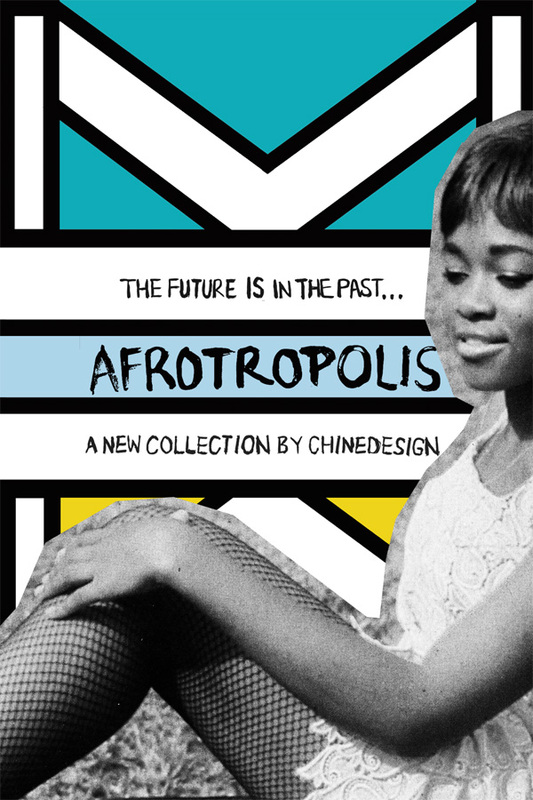 Chinedu Ukabam, the local designer behind clothing label Chinedesign is hoping to add some much needed variety to the palette with the launch of his new collection for summer 2011: Afrotropolis. The line features contemporary and stylish designs for men and women inspired by the rich and eclectic culture of the African continent and the African diaspora. Ukabam describes his collection as containing, “a slice of history, a spoonful of fantasy and a pinch of humor” and takes his designs into uncharted territory by re-contextualizing, re-mixing and re-imagining the image of Africa. Ukabam has forgone the “Ankara” fabrics typically associated with African fashion and has opted to design all his print fabrics from scratch, drawing on inspiration from the rich tapestry of traditional and contemporary African culture and history. Weave patterns found in an ancient Ghanaian Kente cloth serve as the inspiration behind futuristic “bar-code” print. South African Ndebele wall art is brought to life when the bright geometric patterns are transposed onto distressed denim and airy silks. Cowry shells dipped in gold are used in place of metal studs to create an Afro-punk look. Afrotropolis is an exploration of the identity and subcultures (real and imagined) that poses the question “What does it mean to be African and modern?” The launch of the line will be featured at an invite only “fashion gallery” presentation on Sunday April 17, 2011, where the designs will be showcased as pieces of art displayed on “freeze models”. While working on the collection and keeping the theme of “re-mixing” Africa, Ukabam also started toying with some musical ideas borrowing sounds from Highlife, Afrobeat, Soca, House, Hip-Hop, Electronica and indigenous music from all over Africa. The fusions of these sounds birthed the “Bend Down Boutique” project, which will serve as the soundtrack to Afrotropolis collection. If you are interested in attending the showcase please forward your mailing address to Rehema Vuo at publicrelations@chinedesign.com to receive a formal invitation.